Welcome to our media library. Here you can find our press releases, the latest news and information on our company, and our most recent brochures and videos. If you can’t find what you are looking for, require a file of a different size, or have any other questions about Amiblu, we would be happy to receive your inquiry at marketing@amiblu.com. Read recent news from Amiblu. Download and read our brochures to find out more about Amiblu and the world of sustainable water solutions. 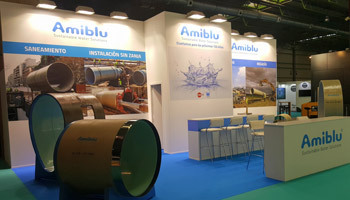 Watch our videos and learn more about Amiblu GRP Pipe Systems. Hot off the press: Read our press releases to stay up-to-date with the latest news from Amiblu.